My love for peanut butter is a big one (I hope you’re starting to catch on to this). I really don’t know how it came to be, but for some reason I can’t get enough of it. Growing up, I don’t remember feeling the urge to grab a spoon and dig into a big jar of peanut butter or the need to add it to anything and everything it could remotely go with (Cereal? Check. Yogurt? Added. Smoothies? Of course. Apples, carrots, bananas? Check, check, check. Granola? Yep. Chocolate chips, Oreos, chocolate bar? Yes, please). Sure, I had my fair share of PB & J in my lunch box in my middle school years and I loved the free peanut butter sandwiches at lunch in high school, but that’s pretty much where it ended…until sometime in college when I rediscovered the simple joys of creamy peanut butter. In my defense, since I grew up in a small town, I don’t even think my grocery store had a “natural” peanut butter option, let alone any other kind of nut butter. 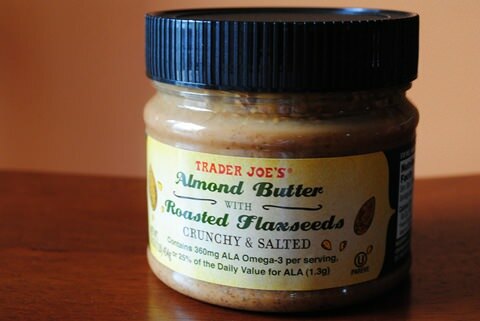 And because the only Trader Joe’s in Iowa didn’t open up until I was in college, I didn’t get my hands on their beloved almond butter until I hit grad school (the Almond Butter with Roasted Flaxseed, to be exact). I know, I know, I could have found almond butter at other grocery stores in my college town, but I was always content with my cheap jar of peanut butter with my limited grad student budget. It was probably best, because once I tried it, I knew there was no going back. I may have inhaled that first jar of almond butter in a little over a week. Eek! I am not recommending anybody do this. As I’m thinking back on that moment, I’m finding it amusing sad how vivid this all is in my memory. Since that day, I’ve learned to control myself when there’s almond butter in the house. This is good, because I’ve also come to realize that I don’t even need a Trader Joe’s or grocery store to supply it for me…all I need are some almonds of my own and I can make it right at home. 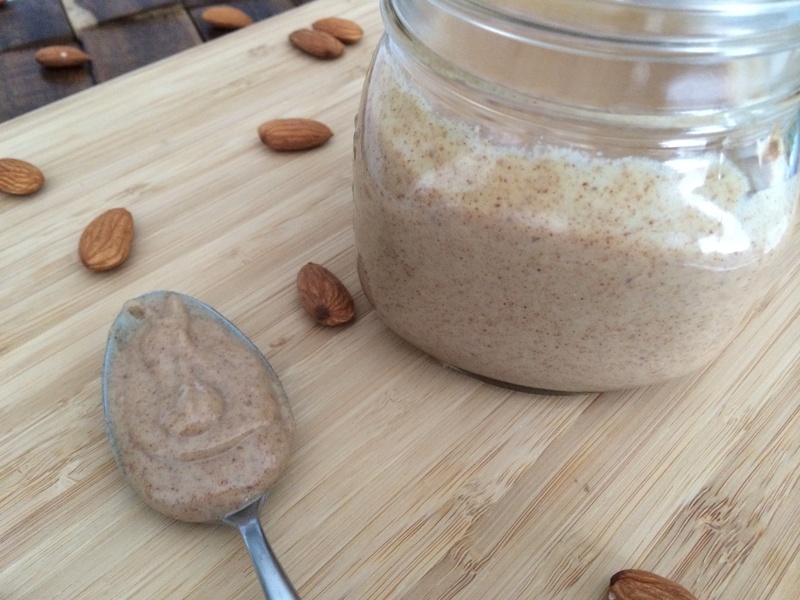 Almond butter at any time?! Sign me up! 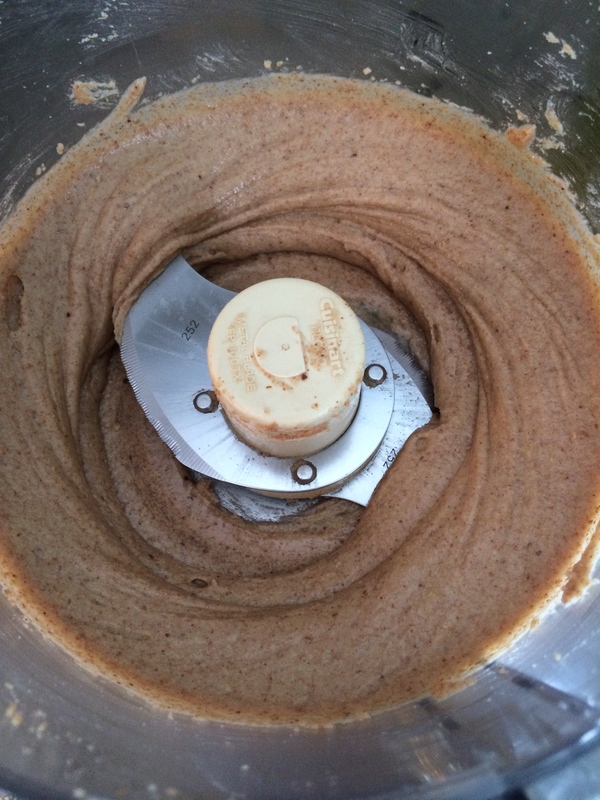 Making any kind of nut butter is so simple, it’s almost ridiculous. 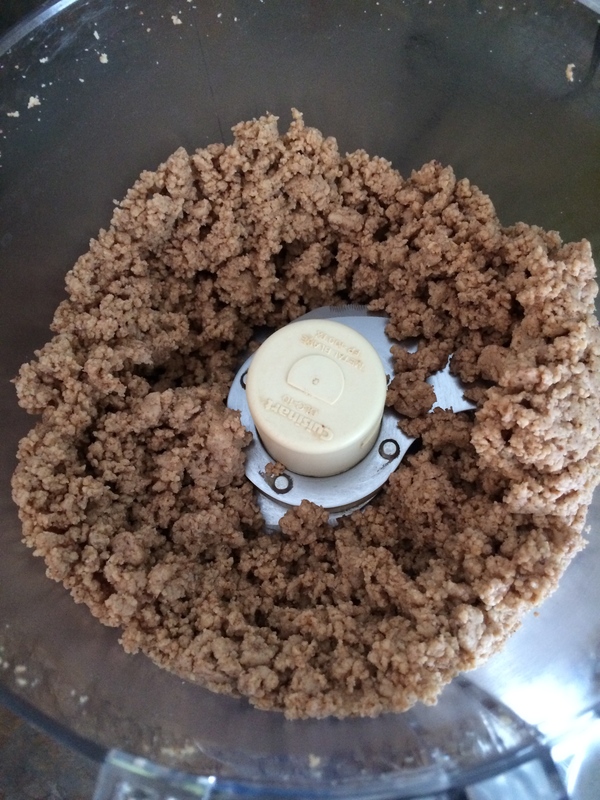 All you need is a food processor or a powerful blender like a Vitamix or Ninja to grind up the nut. It seriously does all the work for you and it’s cool to watch it go through the stages of being a whole nut to a pureéd paste. With Homemade Almond Butter, you do need to add in some extra oil otherwise it sticks to your entire mouth and takes a couple several swallows to get it down. For peanut butter, though, there’s enough oil in the peanut and all I do is grind up roasted peanuts and I’m good to go. For this recipe, you can either use roasted almonds or just raw almonds, whatever you have on hand. Another option would be to roast the raw almonds before making the butter, but I’m too impatient for my almond butter to add an extra step like that and I think it tastes great just raw. I love how I can just dump the almonds into the food processor and watch it go to work. Total processing time is probably about 10–15 minutes for raw almonds. Peanuts don’t take nearly as long (about 5 minutes), and I don’t remember roasted almonds taking as long either, since they’re a little softer after the roasting process. After about 5 minutes of processing the almonds, I use a spatula to scrape down the sides of the processor and will do this a total of about 3–4 times throughout the process. This just helps speed it along and to make sure that it’s all getting pureéd evenly. You know you’re getting close when it forms a ball. About a minute later it transforms into creamy goodness. Incredible, huh?! Once it looks creamy, add in the olive oil with the processor running and a little salt. Let it blend for about 30 seconds longer, or until it’s the consistency you want it. In dietitian terms, I like mine “honey-thick,” but if you go for less time, the butter will be a little thicker. 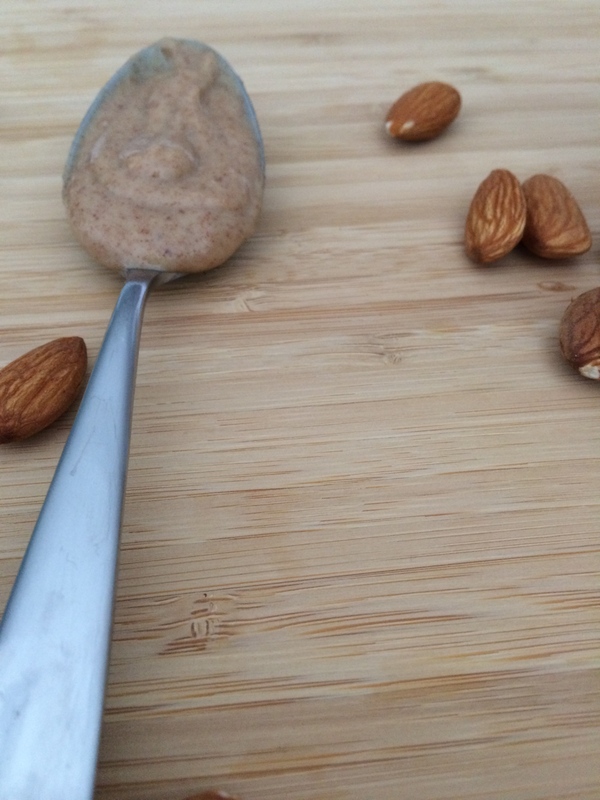 If you want more of a chunky almond butter, you can always add in some more almonds at the end and grind it up for as fine as you want (another benefit of making your own—custom-made almond butter!). I love tasting it fresh out of the food processor because it’s nice and warm and extra creamy. The almond taste is so pure and…almond-y. It practically melts in your mouth. Mmmm…is there anything better? Not to mention, I love the fact that this only has three ingredients. Three! General rule of thumb on food products: The fewer ingredients, the healthier the product. If you look at the ingredient list on shelf-stable peanut butter, you’ll find a much longer list of ingredients, including sugar, hydrogenated oils (long names = no good), and much more salt. Who needs that excess? I’ll stick with my homemade almond butter. My love for peanut butter is strong…but almond butter is a close second. I’m so glad I discovered the world of nut butters. Better late than never, right?! 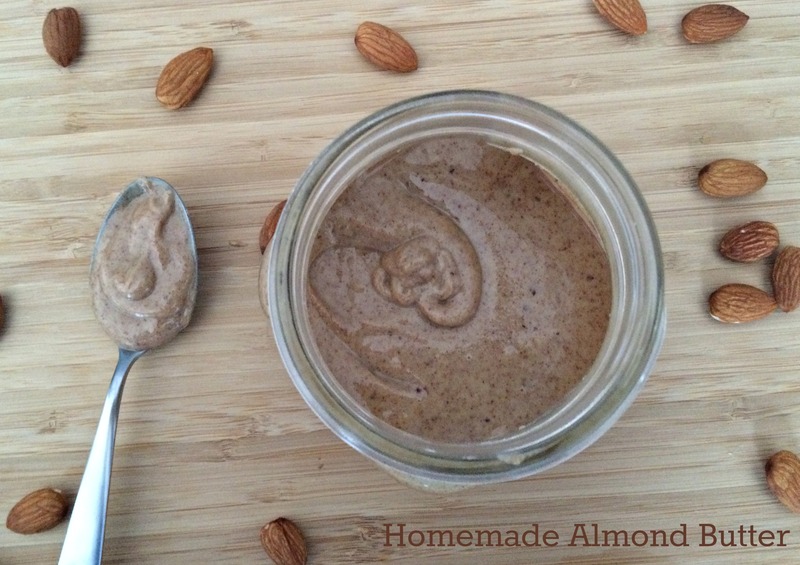 Place 2 cups raw almonds in food processor and blend until creamy (about 10–15 minutes). 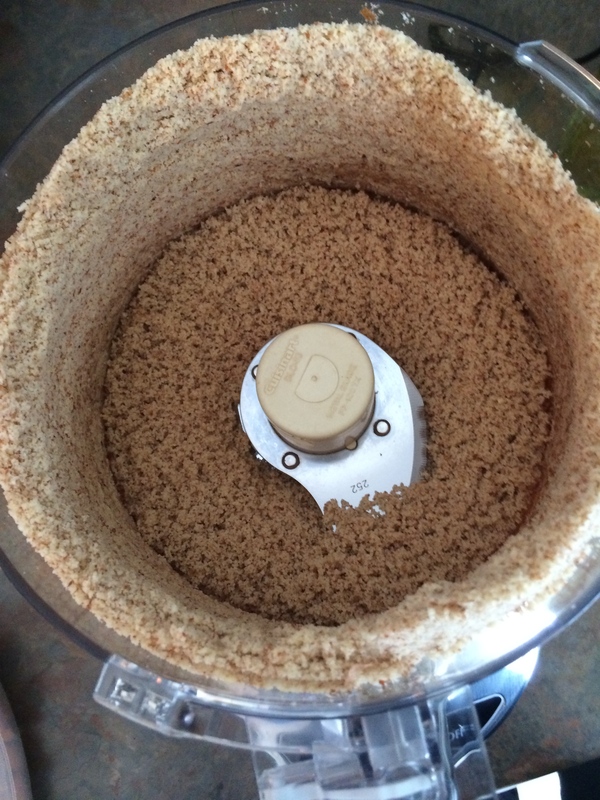 Throughout blending process, stop the food processor and scrape down the sides of the work bowl for even mixing. Once desired consistency is reached, pour oil and salt into work bowl while food processor is running and let mix for an additional 30 seconds. Adjust salt or oil as desired. 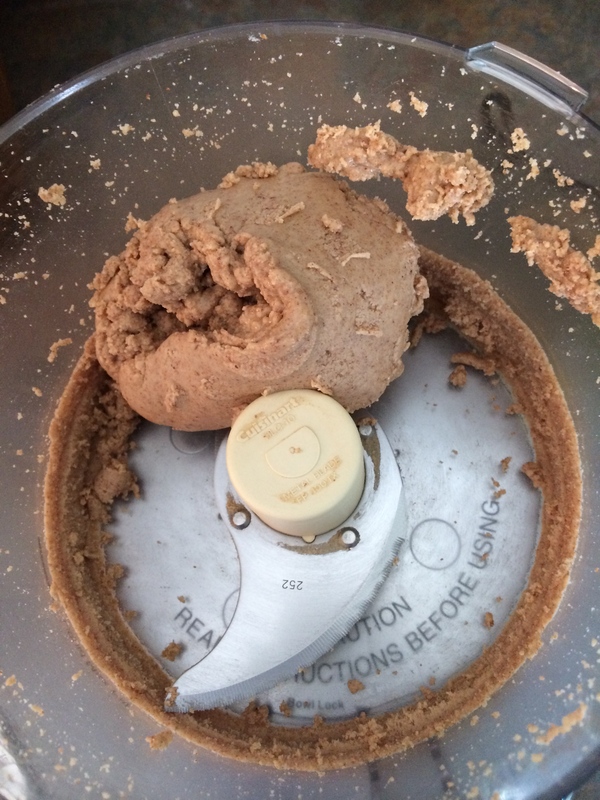 Optional: For a chunky almond butter, pour an additional 1/4 cup almonds into work bowl and process for ~1 minute or until desired “chunky” texture is reached. 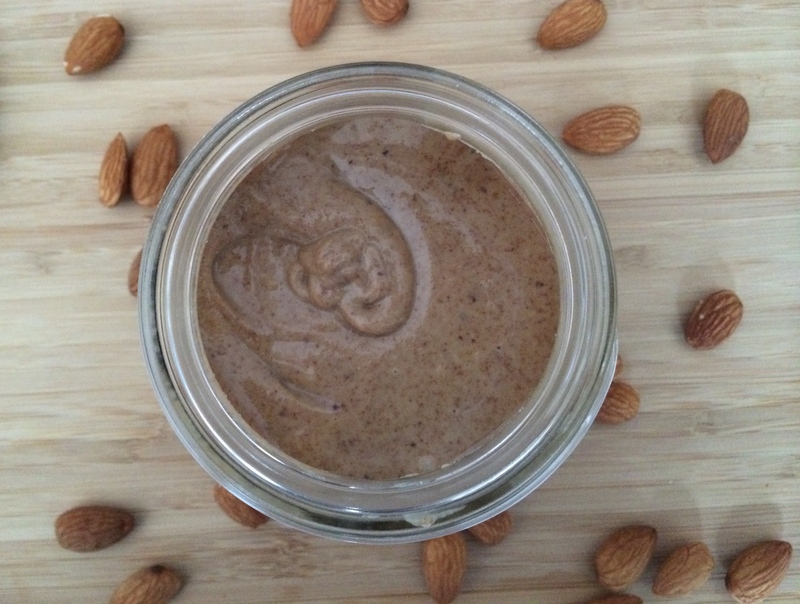 Store almond butter in the refrigerator to prevent oil separation. Alright now, lets be honest with ourselves….haha. Growing up, you at a PB&J sandwich EVERYDAY in your school lunch. 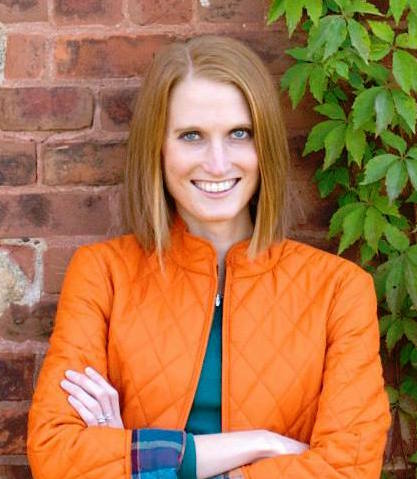 Loved Puppy Chow, Scotcharoos, etc….there is some background to your peanut butter addiction. I also remember you being thrilled about the idea of peanut butter on your Oreo’s after The Parent Trap came out. However, I also laugh at these, because I don’t remember you being “obsessed” either.